I've used my air compressor to blow dust out/off of computers/parts for over 20 years. You just have to ensure it's dry and you don't spin the fans...pencils for desktops and big sewing needles for laptop fans. That's the FIRST thing I do when I get one to repair. I got MORE good news today for getting ready to come down there. God answers prayer! I use wireless, mostly. I have lost count how many times I have repaired the wire to that mouse. The new mouse is wireless. 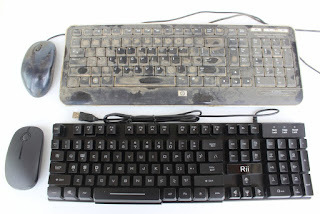 That old black keyboard was always a problem after dark...especially once so many keys got covered with crud. The new keyboard is like night and day...the keys are backlit! I quit gaming years ago or I would have one,my nephew had one just before he moved out to go to college. I use my overhead LED light at night to type. Maybe you should get one of those clear keyboard overlays? If the keyboard looked that bad, what does the computer look like??? 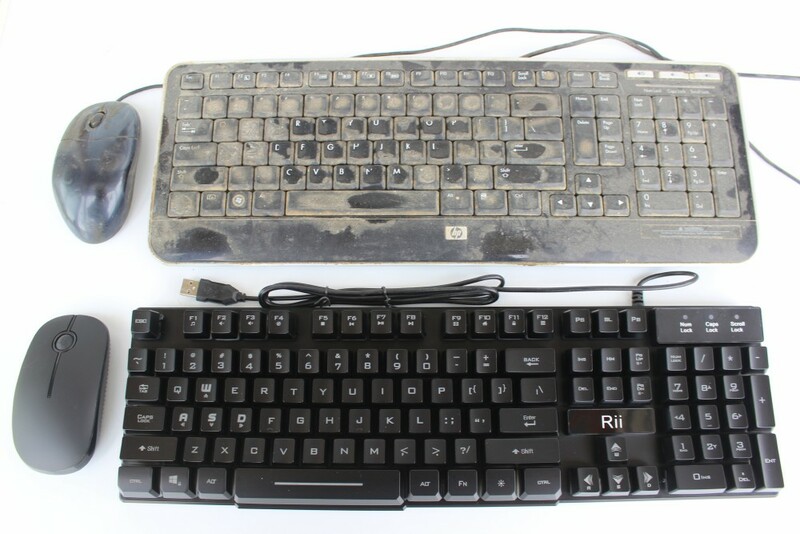 Zole...the problem with the keyboard was not so much the dirt but the fact that the keys were black and not backlit. Dizzy...the screen is clean and that is all that matters. Oh, well surprise. I see you have dust there too. We even complain about the dust we get on our eyeglasses.